Tammy Ryan’s newest play was inspired – at least in part – by a heron. In 2015, Ryan and her family had gathered in Melbourne Beach, Florida for a weeklong reunion to memorialize her recently departed sister Noreen. The heron showed up on the first day of their gathering and never really went away. It would stop to regard Ryan and her family at times, as if observing or listening. “Every day for the rest of the week, the heron was around, watching from the corner of its eye,” Ryan wrote in an essay recounting the experience for Pittsburgh Magazine. Not long after, Ryan began writing Hurricane Colleen, which will have two staged readings at the 2018 Ignite! Festival of New Plays: one March 28 at The Rep’s Emerson Studio Theatre and another March 29 at UMSL at Grand Center. Both readings begin at 7:30 p.m. It would be easy to label this play as autobiographical, based on the plot – sisters Maggie and Rosemary reunite in Florida to scatter the ashes of their deceased sister Colleen, but begin to face strange encounters with wildlife and an impending hurricane that brings their familial conflicts into focus. But when Ryan sat down to begin the difficult process of writing the play, it was a potent cauldron of emotions, memories and ideas that fueled her. That surreal week on the beach was merely the spark that got the ball rolling. The two sisters in the play aren’t stand-ins for Ryan or any one member of her family – she has three sisters and two brothers, and some of their many attributes made their way into each of Maggie and Rosemary. This is Ryan’s second time participating in an Ignite! festival, following her work on Molly’s Hammer at the 2015 edition. The play, based on the life of anti-nuclear activist Molly Rush, received its world premiere at The Rep the year after – and the real Molly Rush attended opening night. Workshopping the play at Ignite! helped pound it into shape. 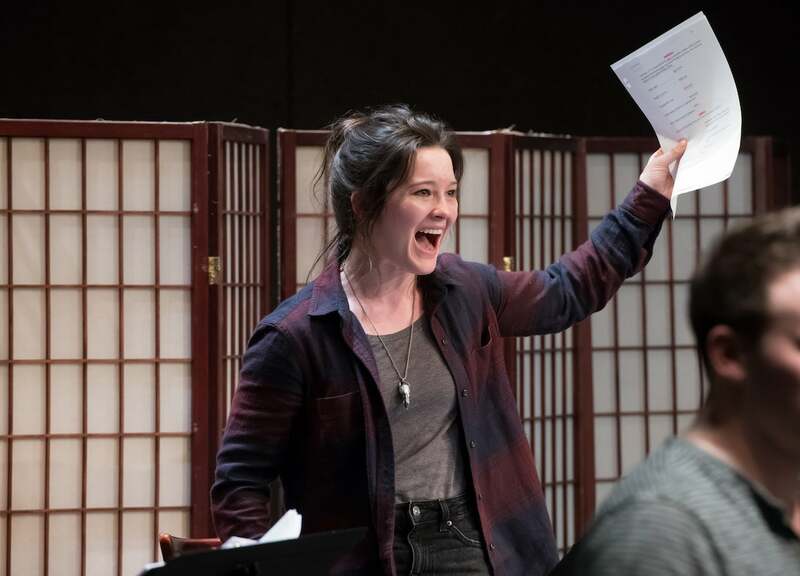 Because of the personal nature of this new play, Ryan says she's more confident in it than she was with Molly's Hammer heading into the rehearsal process for Ignite! She hopes to do some cutting to the script based on the staged readings to streamline the piece for what will hopefully be a full production in the near future.